If I'm not mistaken the next SM will be Odin? If so which of the deck below I should focus on to pass Odin SM with ease? Yep, definitely artemis. You need enchanted runes in order to hit and kill that Ghost rider. Is it confirmed that Odin is the next upcoming SM battle? (11-05-2013, 12:51 AM)solreaper Wrote: [ -> ] Is it confirmed that Odin is the next upcoming SM battle? Mhm, not confirmed, BUT, highly possible. Might come out during late Nov, or december. 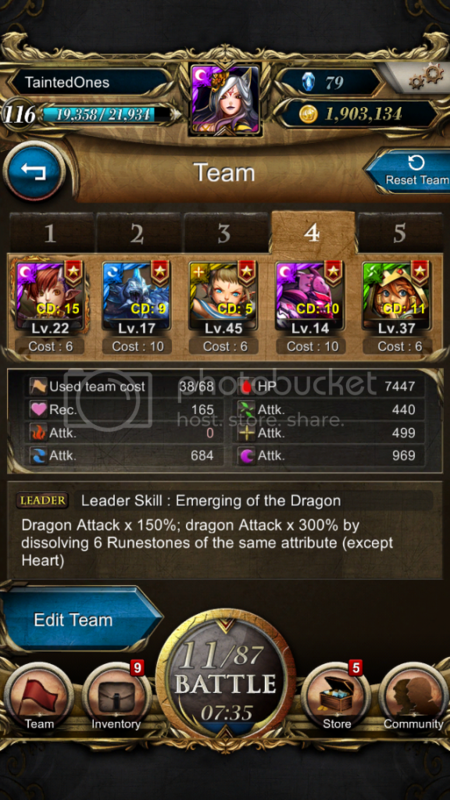 And I suppose dragon deck will be useless on this battle right? 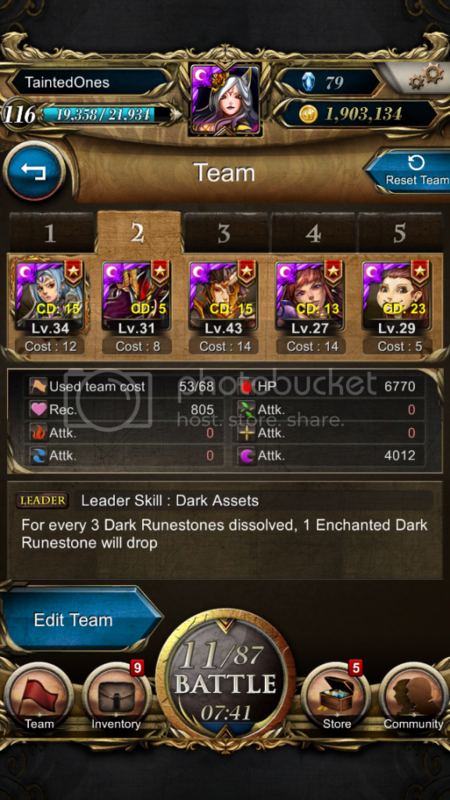 All the rainbow deck will have a hard time in this sm, unless you are godly with your rune moving skill. 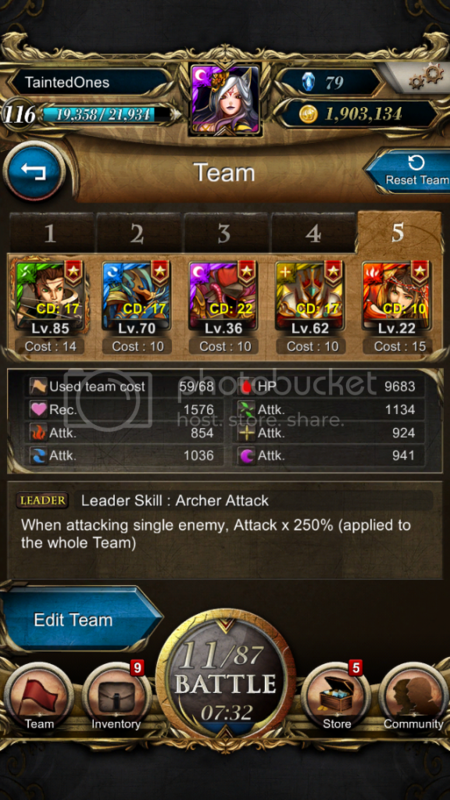 So, Artemis deck from all the choice you have. 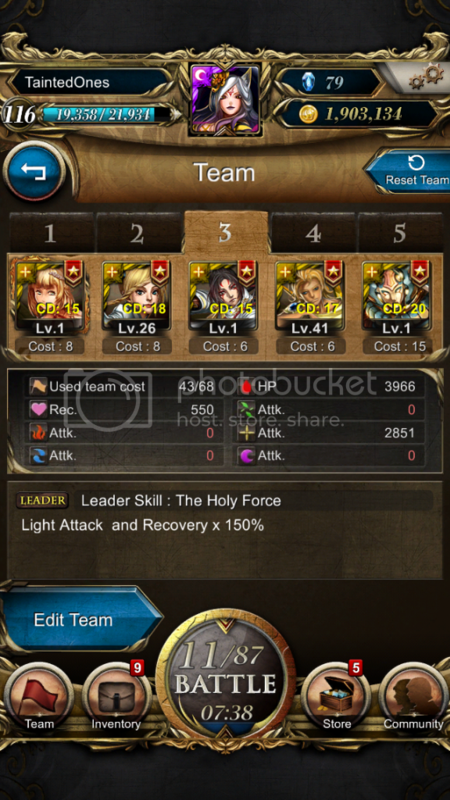 Note that, if you can get Thor ally for your light team, it will be even better, but you got some serious leveling to do. With Thor's skill, you can just one shot Odin into your inventory. May I know what is SM? (05-09-2014, 02:47 PM)[SG] Haikal Wrote: [ -> ] May I know what is SM? 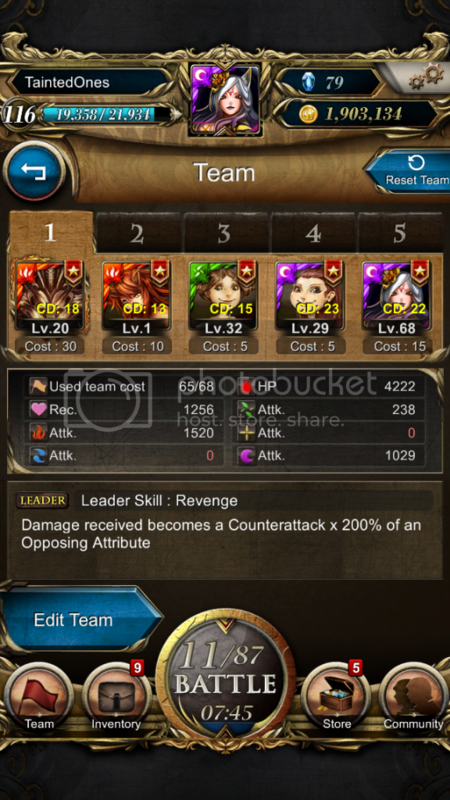 SM is short form for Soulmaster battles;battles that are even harder than Grandmaster. We had one SM just two days ago. They are usually very hard and for experienced players only,and even then they might have to spend diamonds to clear it. You can get special boss cards from SM battles, namely seal bosses and other special cards.